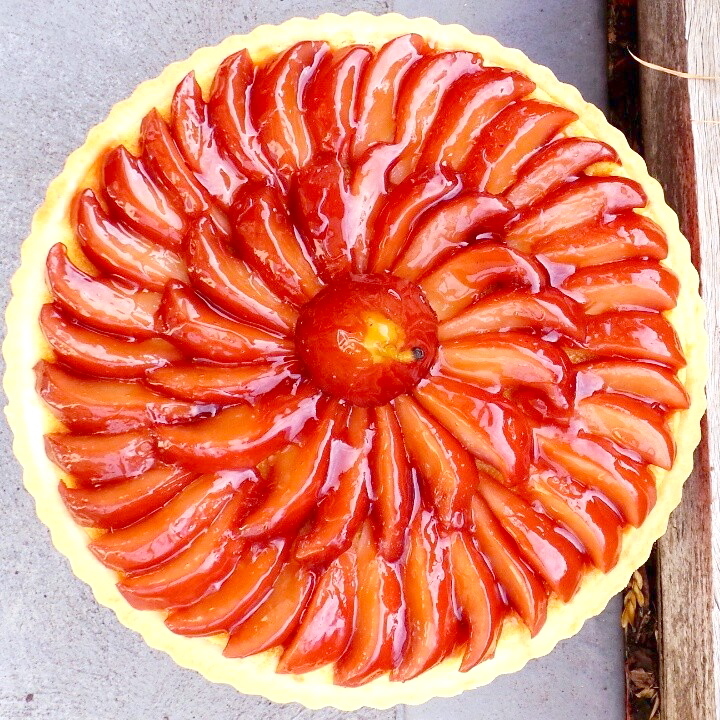 Tarts – Food from Home blog! Poaching pears in a blend of good red wine, and boosting the warmth of the poaching liquid by adding spice aromatics like a cinnamon stick, star anise, lemon and orange peal and you have a pear that will tantalise your every taste bud with every spoonful. Now don’t over complicate this its as easy as. 1: You will need a pot (with a lid) that will fit all your pears side by side in an upright position. 2: Add all poaching ingredients to the pot – the wine, sugar, spices and peal. On low heat stir till sugar has dissolved. 4: Place the pears in the pot, lid on and allow them to poach for about 20 – 30 minutes. Test the pears to see if they are ready by piercing with a small knife if the tip of the knife slides in easily then they are ready, under poached pears do not have a very pleasant texture. Just a note: At this stage you can ditch the rest of the recipe, pop the cooled poached pears with the liquid in the fridge. They make an amazing dessert on their own with a dollop of double cream, or your favourite vanilla ice-cream and for crunch place the pear on some recently baked puff pastry sprinkled with some cinnamon sugar and you have lovely individual desserts. Don’t forget to drizzle some of the poaching liquid over the top! The hard work has been done its time to let the food processor take over. 1: Place the flour, butter, almond meal and icing sugar in the bowl of the food processor. Pulse 4 – 6 times till all resembles an even crumble. 2: Add the egg yolk and 1 tablespoon of cold water, pulse the flour mix again till it starts to come together. Remove the pastry dough push it all together, flatten out into a disc shape wrap in food grade plastic wrap and rest in the fridge for 10 – 15minutes. 3: Time to make the Almond creme, once again another a handheld mixer standard mixer is perfect for this job. 1: Cream together the butter, icing sugar and vanilla bean paste, be a little patient and don’t rush. Once the butter and sugar are pale light and fluffy in appearance add the eggs one at a time. 2: Add the almond meal, stop beating when all ingredients have combined. Set aside for the moment. 3: Pre-Heat the oven 180 Deegrees. 1: On a lightly floured surface, roll-out the pastry about 4-5 millimetres thickness. 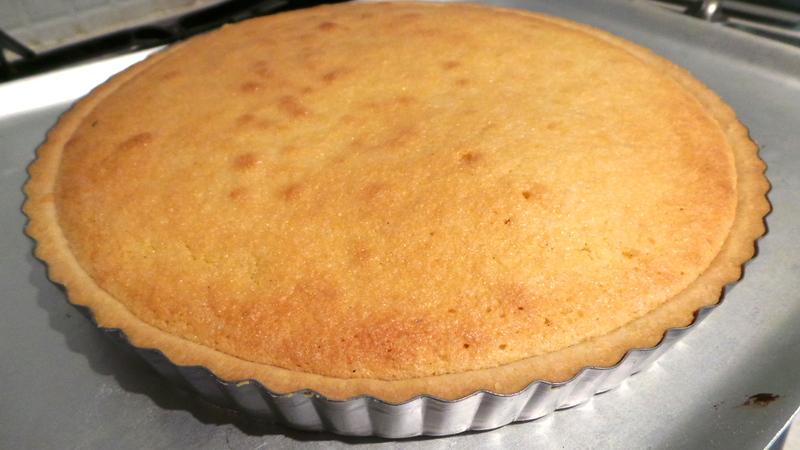 Line the base and sides of a 26cm round nonstick fluted tart baking pan and trim the edges. 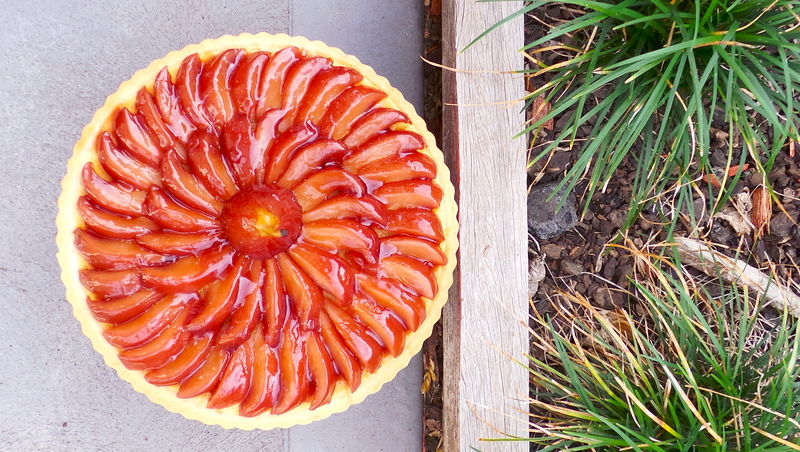 2: Fill the tart shell with the Almond Creme filling no more than 3/4 full. 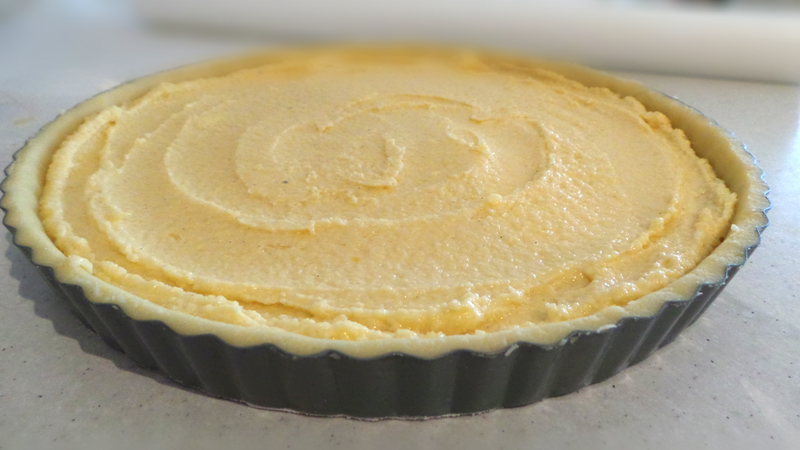 3: Bake the tart on the middle shelf for approximately 25 minutes or till light golden colour. Once baked remove form the oven and allow to cool completely before removing from the baking pan. 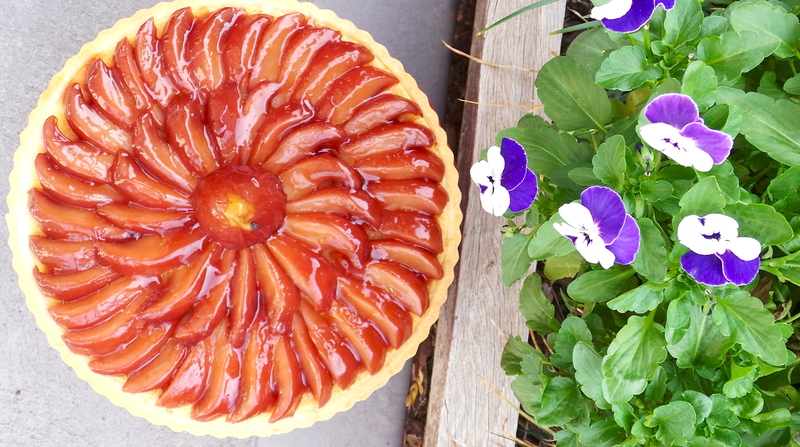 4: Decorate the cooled tart with the poached pears. Just a note: Baking is part science and a whole lot of creativity! 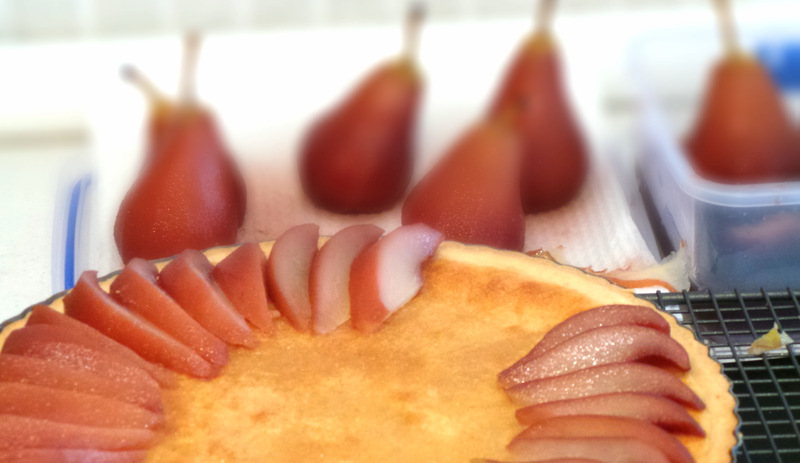 So you can either cut the pears in half, or slice them into wedges and arrange them around the tart. 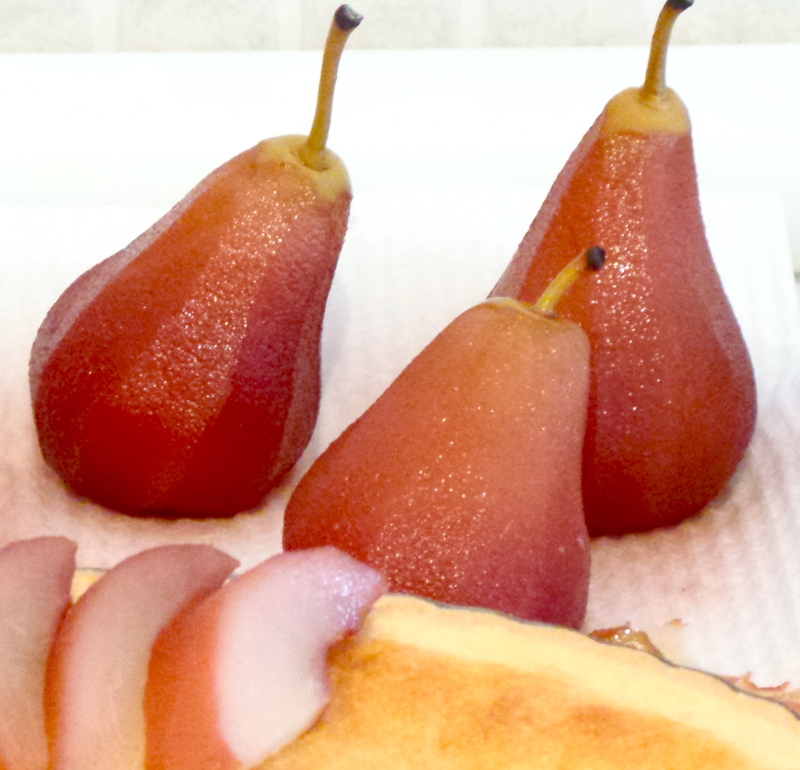 If they are small pears they look great left whole as an individual serving. Its up to you.